New Jersey Governor Chris Christie’s term is coming to an end shortly in 2018, as democrat governor elect Phil Murphy prepares for his inauguration. But, the current bombastic Garden State boss sat down with Matt Arco of NJ Advance Media for one last interview. 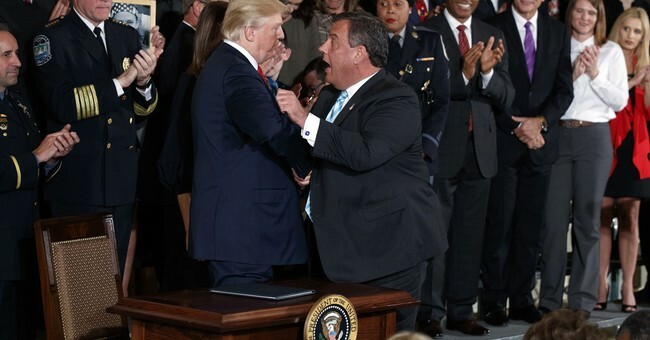 Christie claims that had Donald Trump not entered the 2016 presidential race, that he would absolutely be president today. He also blamed key political personnel in the administration for his termination as Trump's presidential transition chair. But why after once being the GOP's favorite to take back the White House was he instead talking to me in back in Jersey, where an overwhelming majority say they're happy to see him go? "You're missing the bigger point. I took risks and the risks didn't work out," Christie said. "You could decide not to run for president because you want to sit around and protect these (poll) numbers that you guys talk about all the time," he said. "When a risk doesn't work, people perceive it as a failure, right? If I had won (the race) for president, we wouldn't have to worry about this." "It doesn't bother me nearly as much as you all think it should - or wish it did." Christie, who racked up endoresments from three notable governors, said he was not angry with GOP opponent Florida Gov. Jeb Bush for entering the race. "And I will always have a real sense of disappointment that the other governors didn't endorse me, or at least endorse someone in that race," he said. "If I had a nickel for every time one of them said to me 'Let me just wait another month to see how everything falls out and then I'll make a decision,' and then they never did." Angry that Bush, I pressed, entered the race, then? "I'm not angry at anybody," he responded. "I think it's very presumptuous to be angry that someone else decided to run for president," he said. "I just never ever believed that Jeb could win and I don't know why anyone ever believed Jeb could win." He did say that at times he was very frustrated to have Donald Trump in the race and feels strongly that if it were not for the real estate mogul turned reality star entering the presidential race, that he would currently be the commander-in-chief. Christie said he has no doubt he would have won if not for the blunt-talking Trump's decision to run. "It's incredibly frustrating to think to yourself, 'Wow, if this guy were not in the race, we'd win this thing,'" Christie said, reflecting on some internal polling from the campaign. "And I absolutely believe if Trump had not gotten into the race I think we would have won." But, Christie also laments the fact that Trump staffers prevented him from runningTrump’s transition team. Specifically, he called out Trump's former Chief of Staff Reince Priebus, White House former Chief Strategist Steve Bannon, and Trump's son-in-law Jared Kushner. And as chaos continues in Washington, Christie says the decision to dump him as Trump's transition chair - and throw his plans in the trash can - was a dumb one. "I can only tell you who ultimately executed on it and that was (Steve) Bannon, (Reince) Priebus and (Jared) Kushner," he said. "They were the three guys in charge and they were the ones who ultimately made that recommendation to the president. And I think they ill-served him by doing it." Christie leaves office without a clear future, but says that he is thankful for his political career over the past 16 years. "No one in this state's political history has had a run like I've had in the last 16 years - no one," he said, reaching back to his time as U.S. attorney. "Maybe I'll never have another job that is as exciting and challenging as those two." "They're gonna miss me when I'm gone."